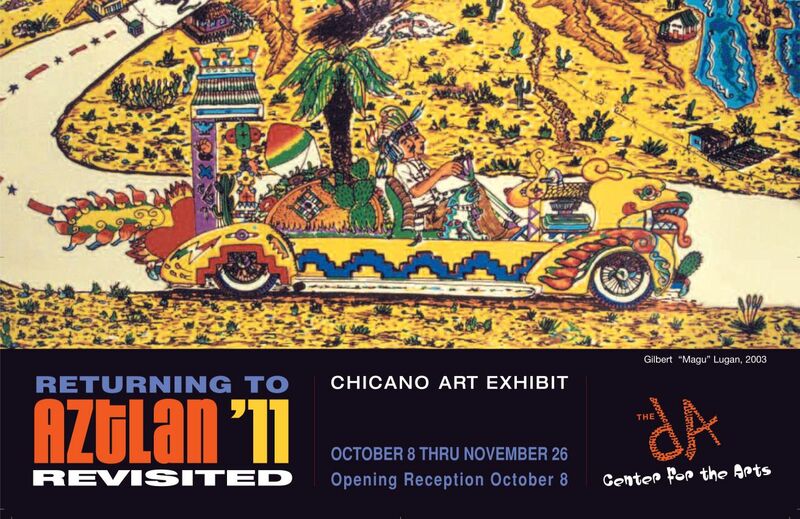 Saturday’s opening of the 9th Annual Aztlan Exhibit, “Returning to Aztlan: Revisited,” and our open show, “Dia De Los Muertos – Blue”, was a massive success. 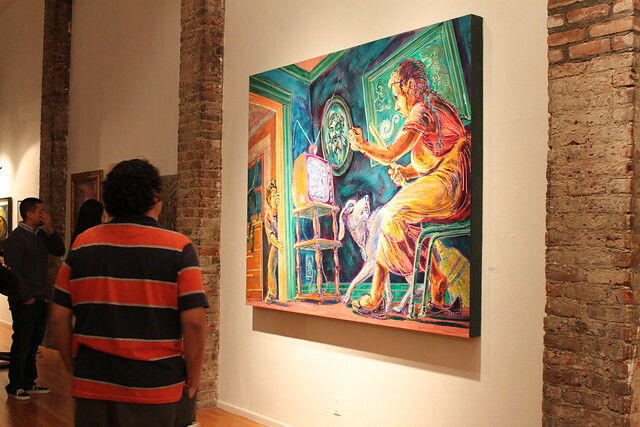 Thank you to everyone who attended and all the artists who submitted pieces. The evening began with a traditional Aztec dance performance by the Copali Copili Aztec Dancers. 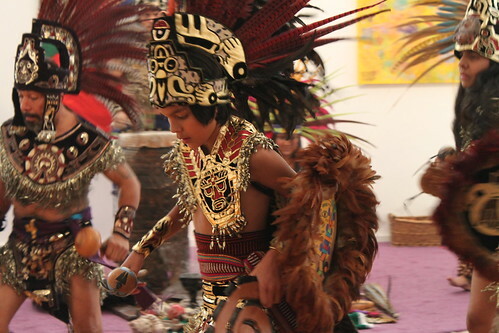 This troupe performs their intense, all consuming narrative dance each year at the Aztlan exhibit—and as always their performance was not to be missed. 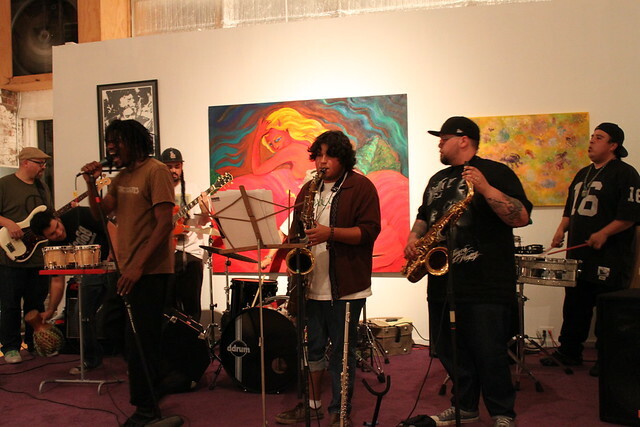 The evening continued with the Pomona debut of Salt Petal whose danceable Latin rhythms mirrored the night’s theme by connected traditional sounds with the new. The polyrhythmic Afrobeats of Mexico ’68 closed out the fun filled evening. More photos found on our Flickr. Additional photos can be found in our Facebook album. Have photos of this month’s exhibit? We want to see them! Tag the dA Center for the Arts on both Facebook or Flickr. Posted in ExhibitionsBookmark the permalink.